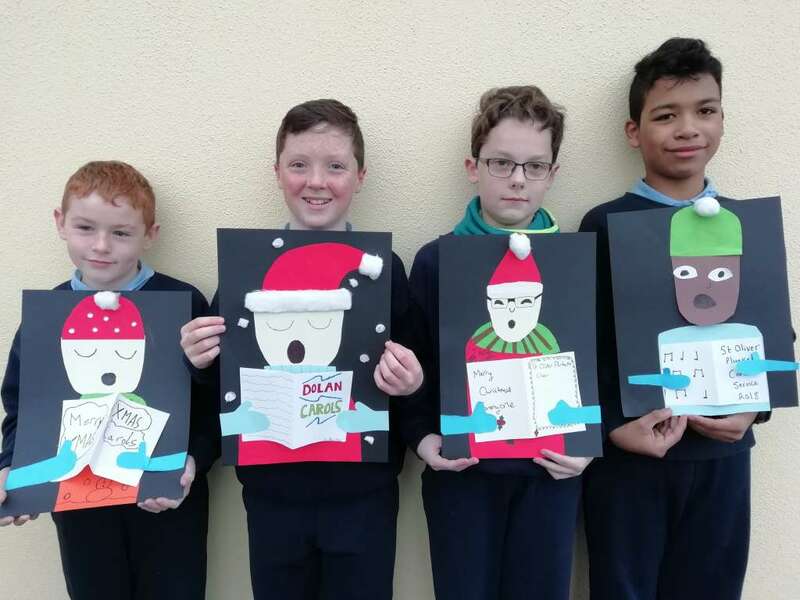 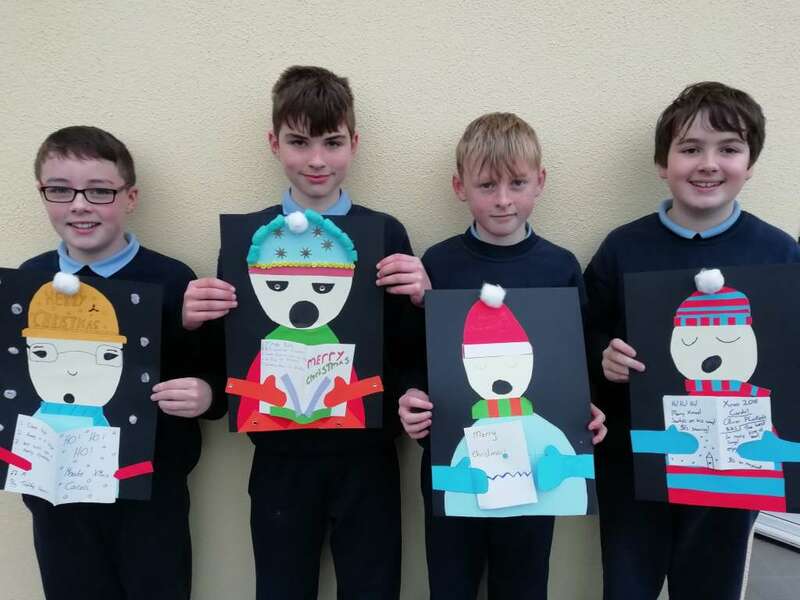 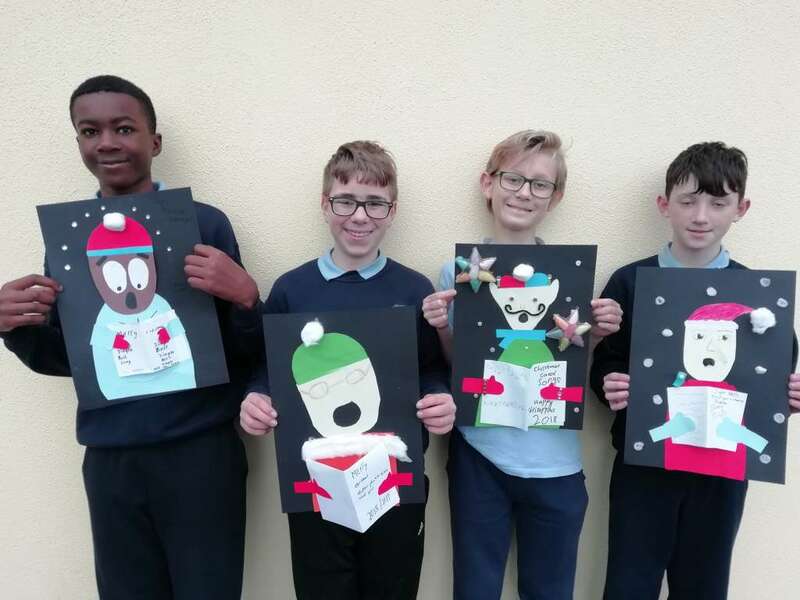 Here is our very own carol service……in art form. 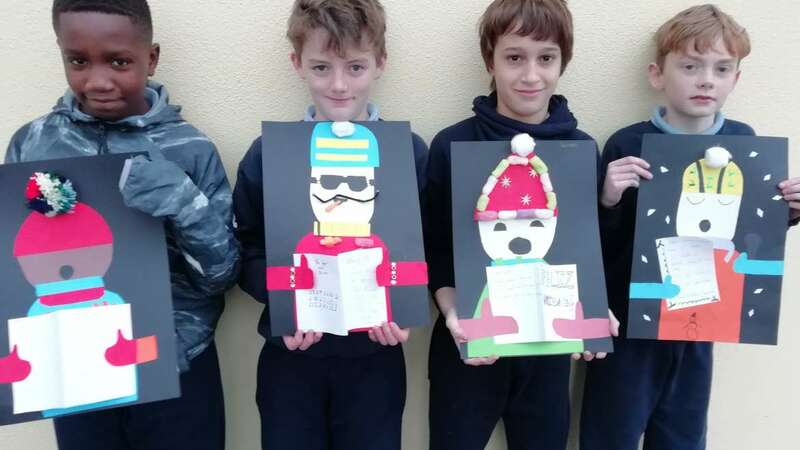 Using different coloured card and other materials such as cotton wool, bobbles, packing beans and any other recycled items we created a Christmas choir ready to sing all your favourites. 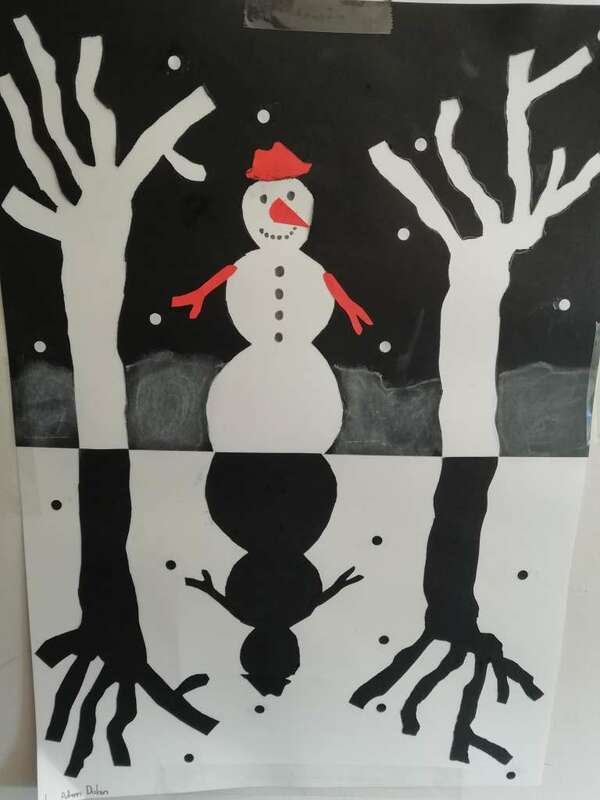 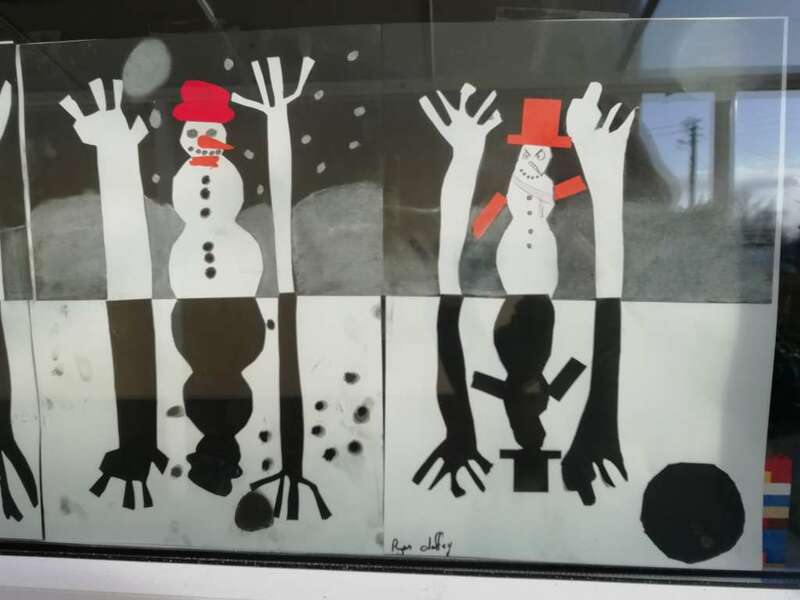 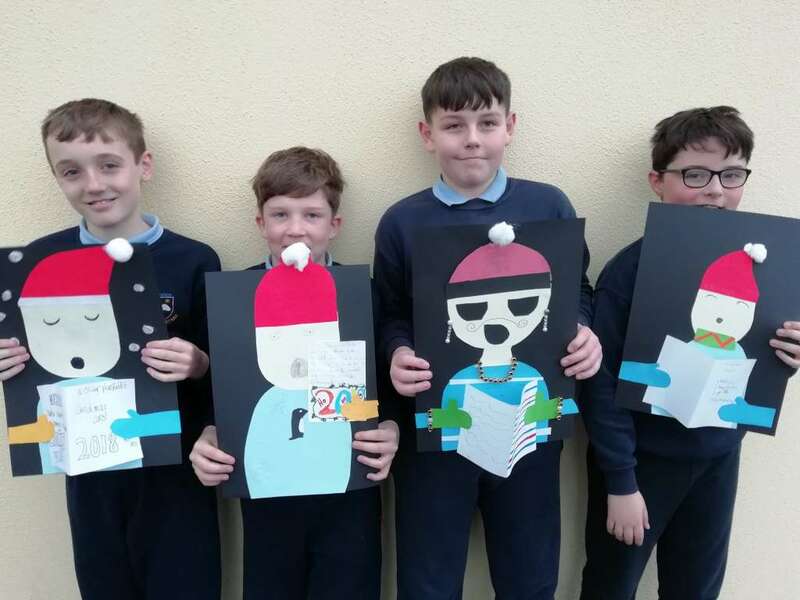 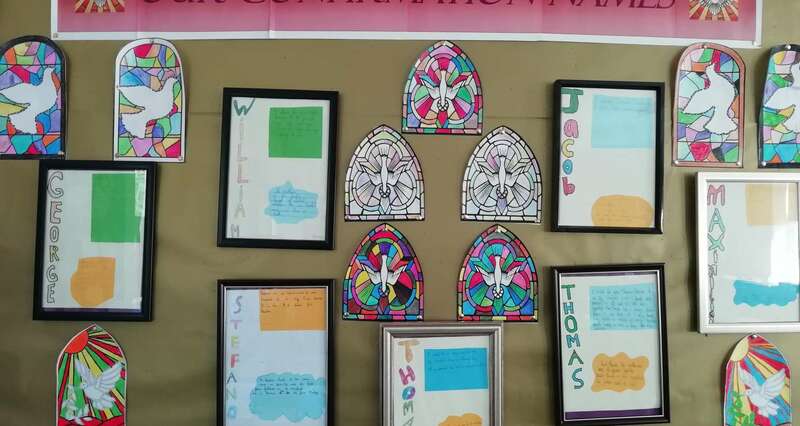 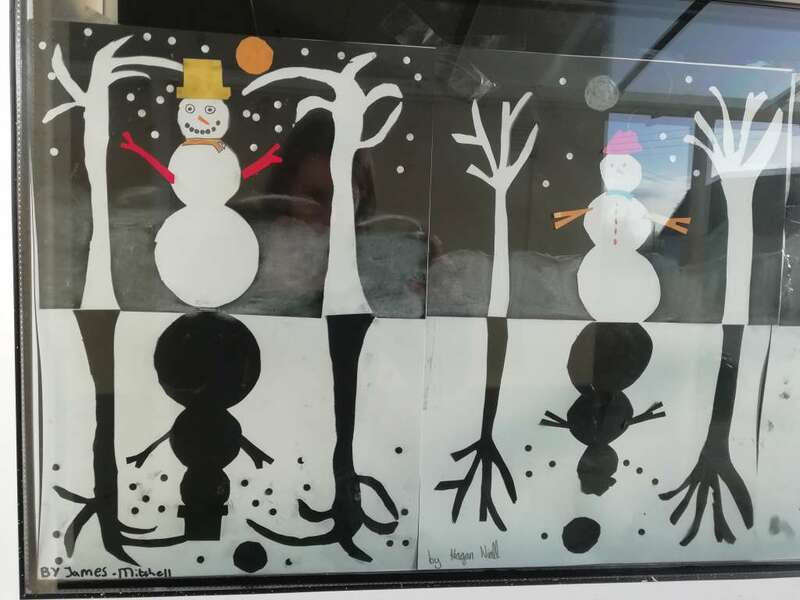 Mr. Keena’s class created beautiful reflection pictures of snowmen. 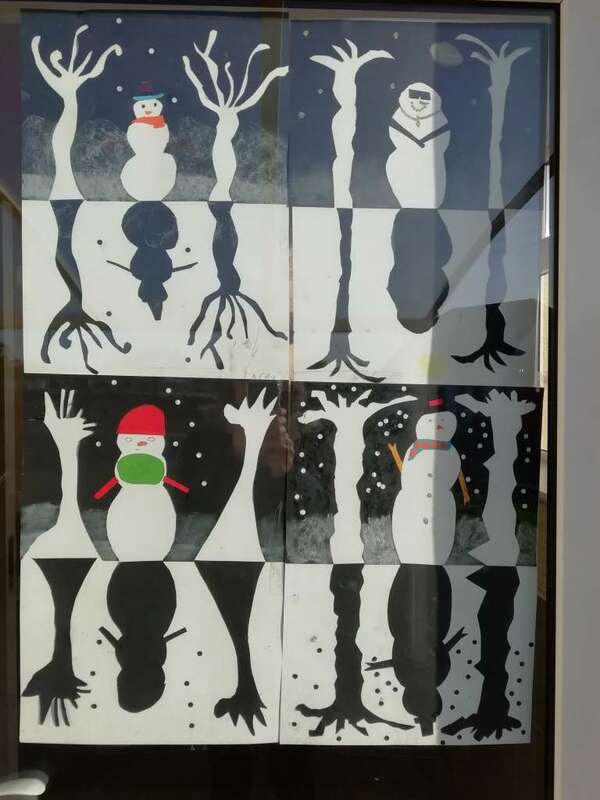 They were tricky to design and cut out but the finished product looks very festive on our windows.